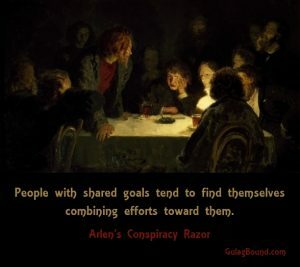 The Rainbow Conspiracy Part 14 here. Steve Phillips and the Texas Organizing Project understand that turning Texas blue is a mammoth undertaking. But the prize is huge – the destruction of the GOP as a national force and the imposition of permanent Democrat/socialist rule. It won’t happen this election cycle, or the next, but unless these forces are exposed and countered, Texas will eventually go Democrat and take the whole country with it. The US Electoral College consists of 538 electoral votes. A majority of 270 electoral votes is required to elect the president. The Democrats have a lock on California’s 55 votes. The Republicans rely on Texas’ 38 votes. If either party can ever win both states in the same cycle, that will be the end of the traditional two-party system. Given the Democrats’ heavy top to bottom Marxist infiltration, flipping Texas to their camp would usher in a permanent one-party socialist state. San Francisco lawyer and stealth socialist Steve Phillips is aiming to do just that. Working with leftist mega donors from the secretive Democracy Alliance and his own organizations, Steve Phillips has set up mass voter registration programs in several states to sign up millions of new minority voters. Phillips is well on the way to flipping Georgia, Arizona, Florida and North Carolina. But Texas will be the biggest prize of all. Not this election cycle, not the next election cycle, but within a decade at the most, Steve Phillips wants to turn Texas blue. This is how he plans to do it. One of Phillips’ main Texas change-agents is the Texas Organizing Project (TOP). The TOP estimates that Republicans enjoy 850,000 more voters than progressives in Texas. They hope to close that gap by 2022, and catapult like-minded candidates to statewide office and create a coalition of informed voters around key issues. They have targeted six counties to mine for votes, including Dallas County. 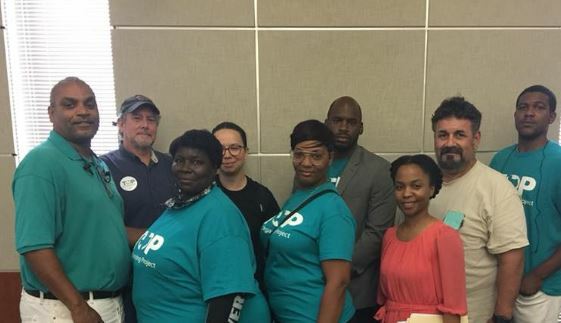 Houston based TOP is essentially the reincarnation of Texas ACORN, the much discredited voter registration organization that collapsed in 2010. 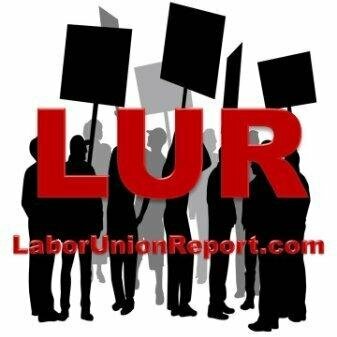 Both founding Executive Director Ginny Goldman and current leader Michelle Tremillo were ACORN leaders. Ginny Goldman came to Houston in 2003 by way of Chicago, where she’d been working as a community organizer since she was 21. Progress, she thought, required a Texas solution built for the vagaries of a big city that was diverse, cosmopolitan, and part of the heavily Republican Deep South. Many national campaigns run by unions, other big left-leaning non-profits or Democratic Party affiliates didn’t even include Houston. She built Texas Organizing Project with three main thrusts: shoe-leather canvassing in the neighborhoods; policy and legal research; and direct political action via voter turnout efforts and a political action committee. In 2016, TOP had a $3 million budget and 38 full-time staff members based in offices in Houston, Dallas and San Antonio. 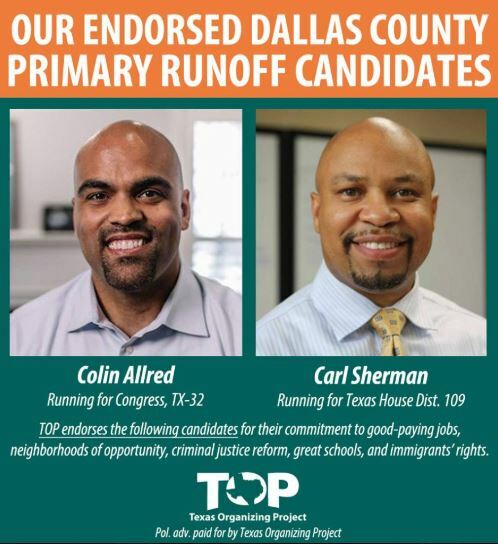 In 2016, for this fall’s election, TOP added dozens of part-time staffers to try to get 380,000 voters to the polls in Harris, Dallas and Bexar counties. TOP is joined at the hip with Steve Phillips. Texas Organizing Project Education Fund Board Director Ashindi Maxton works for the Democracy Alliance and serves on the advisory board of the Movement Voter Project, alongside Phillips’ wife Susan Sandler and his close colleagues Marvin Randolph, Andy Wong and good friend, Van Jones. Former TOP Political Director Joaquin Guerra serves on the board of Steve Phillips’ PowerPAC+. So does current Director of Electoral Strategy Crystal Zermeno. In addition, Zermeno worked with another Phillips entity PowerPAC.org as their director of operations, conducting “a statewide mapping of California to assess priority geographies for investment in electoral work with the expressed goal of improving participation of communities of color in the electoral process.” She also serves on the advisory board of Phillips’ Sandler Phillips Center. Current TOP Executive Director Michelle Tremillo is a 2015 alumni of the Freedom Road Socialist Organization-linked Rockwood Leadership Institute. Steve Phillips, Michelle Tremillo and Crystal Zermeno are also all Stanford University Alumni. Phillips and Zermeno were both active in radical politics at Stanford – Phillips in the ’80s with the Black Student Union and Zermeno in the ’90s with MEChA. Imitating Jesse Jackson’s Rainbow Coalition, the Maoist leaning League of Revolutionary Struggle organised the Black Student Union, MEChA and the Asian Student Union into a Peoples Platform to contest student elections. 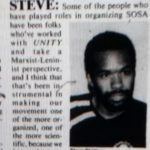 The Peoples Platform lasted well into the 1990s, several years after the 1990 morphing of the League of Revolutionary Struggle into the Unity Organizing Committee, in which Phillips was a leading activist. 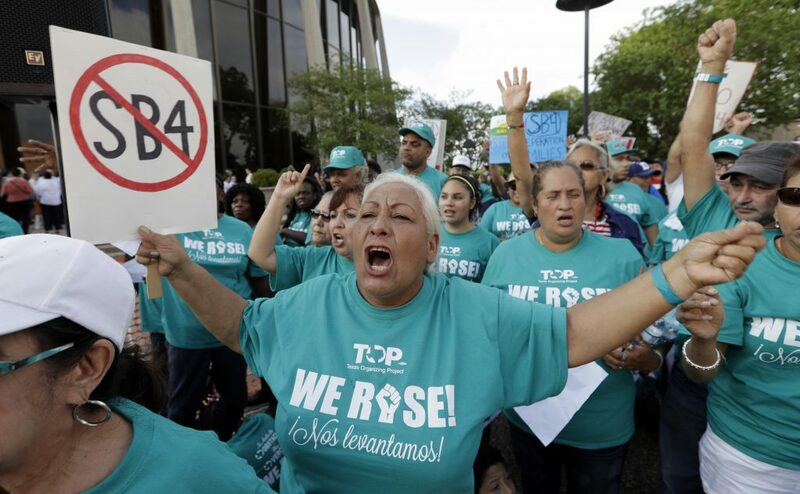 Interestingly, Texas Organizing Project board members include the famous San Antonio activist Rosie Castro, a one time associate of the Communist Party USA and a leader of the far-left Chicano nationalist Raza Unida Party – part of which eventually morphed into the Freedom Road Socialist Organization. Rosie Castro is the mother of the famous Castro twins. Julian – former mayor of San Antonio and Obama’s HUD head and Joaquin – now a congressman from Bexar county. Both men are regarded as future Democratic Party “top of the ticket” material. 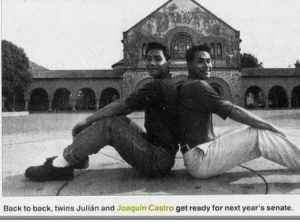 The Castro twins are also Stanford alumni. In 1995, the Castro brothers were elected to the Stanford Council of Presidents on the radical Peoples Platform ticket. Both got exactly 811 votes. Both had been members of the Stanford Democrats and Derechos, a leftist Chicano/Latino student group focusing on law. TOP is funded largely through Steve Phillips’ Democracy Alliance by two members in particular, “progressive” Houston claims attorneys Amber and the late Steve Mostyn. He was an early, generous supporter of the Texas Organizing Project, and helped catapult the organization’s work forward when it came to community organizing and political action, particularly in disenfranchised communities of color. TOP embarked on a series of intensive focus groups, which were largely financed by the Mostyns. “Non-partisan” TOP basically exists to mobilize infrequent or non-voting black and Latino voters to elect far-left Democrats to public office. So far they’ve helped elect Houston mayor Sylvester Turner, several state level politicians and dozens of county commissioners, city councilors and school board members across eastern and central Texas. And they’re working with the hard-left to do it. 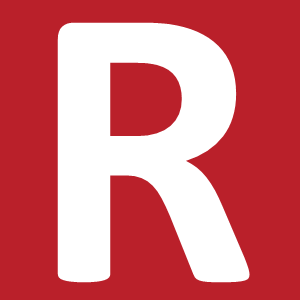 Houston Communist Party member Rev. James Caldwell is also a leading TOP member and the party claims to have recruited at least one TOP organizer. Certainly the two organizations back the same candidates. 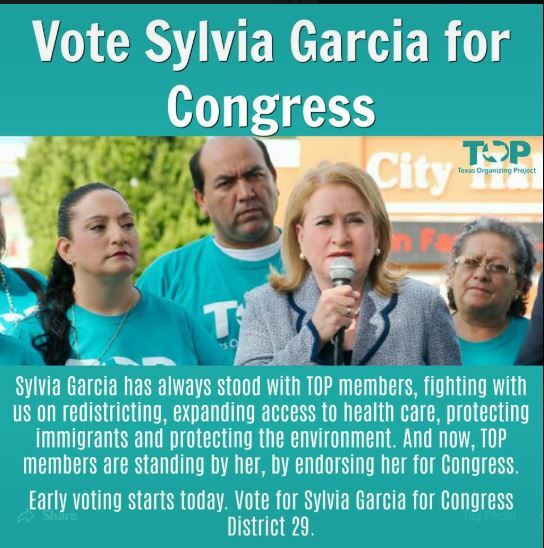 In 2013, the Houston communists worked in Sylvia Garcia’s successful campaign for state representative. Garcia is now running for Congress in a safe Democratic seat, endorsed by TOP. 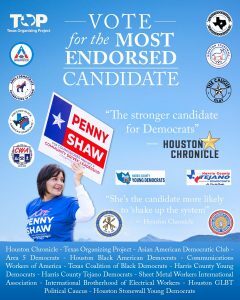 TOP (and The Houston Chronicle) ars also backing Penny Shaw for Harris County Commissioner, Precinct 4. While standing as a Democrat, Shaw is an undercover member of the Houston Communist Party. In addition, the club is working in Penny Shaw’s election campaign. Penny is running for a seat on the Harris County Commissioners Court Precinct 4. This precinct has over a million people in it and if elected she would help decide on the distribution to working-class constituents of a budget that’s well over a billion dollars a year. In Dallas, TOP is supporting Democrat Victoria Neave to return her to the Texas State Legislature. TOP helped her last cycle too, when she beat her Republican opponent by 836 votes. Steve Phillips’ PowerPAC+ also supported Neave in 2016. Also in the Dallas area, 33rd District Congressman Marc Veasey hit the trifecta. 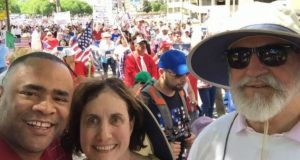 He has been endorsed by PowerPAC+, has a relationship with the Texas Organizing Project and has been supported by the Communist Party through several election cycles. Veasy’s longtime connection to leading Dallas Communist Party member Gene Lantz has been no bar to serving on the Armed Services Committee of the House of Representatives. 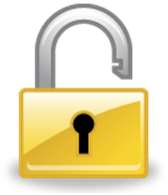 I guess internal security doesn’t count for much any more. This election cycle, Steve Phillips is backing black and Latino gubernatorial candidates in Florida, Maryland, Georgia and Arizona. Phillips’ logic is that by running a leftist minority candidate statewide, coupled with mass voter registration drives, it will motivate non-voting blacks and Latino’s to the polls, boosting Democrats chances down ticket. Texas doesn’t have a strong Democrat gubernatorial candidate this year (Phillips backed the disastrous run of Wendy Davis against Greg Abbott in 2014), but there may be another motivator on the horizon. The Texas left has gotten excited about backing El Paso congressman Beto O’Rourke against Republican Senator Ted Cruz. O’Rourke has out-raised Ted Cruz in several quarters and has held meetings in almost every county in Texas. O’Rourke isn’t taking corporate donations. He’s relying on the grassroots. But money isn’t everything. 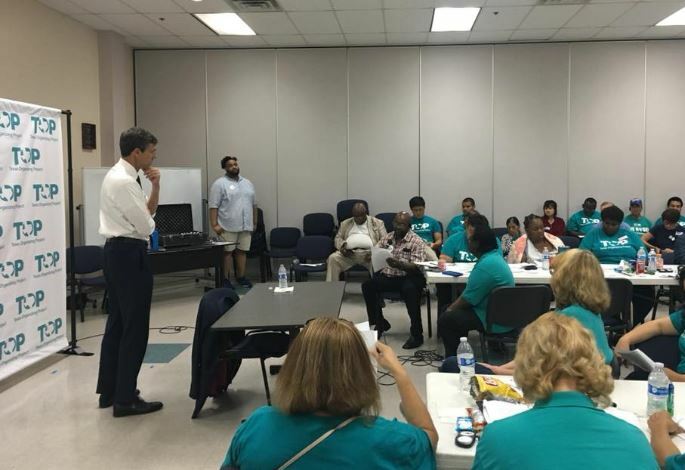 TOP didn’t officially back Beto O’Rourke in the Democratic primaries, but he did pay the organization a visit in May. Grateful for the opportunity to learn from the Texas Organizing Project. The hard work of their energized membership is the example for grassroots, on the ground community organizing that Texas is counting on. O’Rourke’s only chance to beat Cruz is to turn out the vote in the heavily populated counties surrounding Houston, Dallas and San Antonio. “We’re trying to be as strategic as possible,” says Crystal Zermeno, director of electoral strategy at the Texas Organizing Project, “given that most of our counties are as big as battleground states.” Harris County, where Houston sits, has a much larger population than Nevada. In 2016, Zermeno’s organization made some 1.2 million phone calls and door knocks in Harris County, which helped Hillary Clinton to carry it. O’Rourke will have to build on Clinton’s turnout numbers. From there, it doesn’t take a strategic genius to see the competitive path: dominate the other cities, woo the suburbs, limit the damage in the sticks. “There is no doubt that the far-left in Texas and across the country is energized right now,” says Ted Cruz, “we are going to see very high Democratic turnout in November.